Recently my daughter has discovered a passion for wood-work. 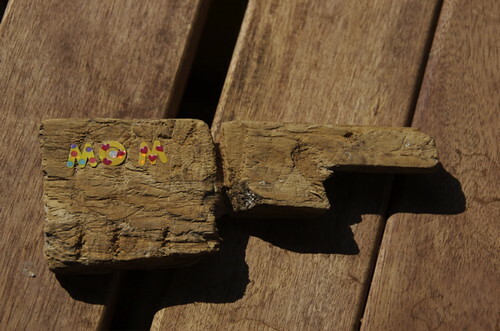 She spends hours at a time out on the balcony whittling small sculptures out of wood she collects on our walks. I think she especially likes the quiet away from her two little brothers from time-to-time. I love that she can make a little bit of wood look happy. That is so sweet! What a clever little girl you have.